Originally produced in Japan by Angel Playing Card Company, these uncanceled casino playing cards were intended for the Pacific Cruise Line gaming tables. With spring like premium casino stock and an Air Cushion-esque finish, these durable cards are built to withstand the constant use of gambling patrons manhandling them. Blue background, white dots & casino logo. Red background, white dots & casino logo. High Emboss Playing Cards for Gamblers! High Emboss Playing Cards for Magicians! 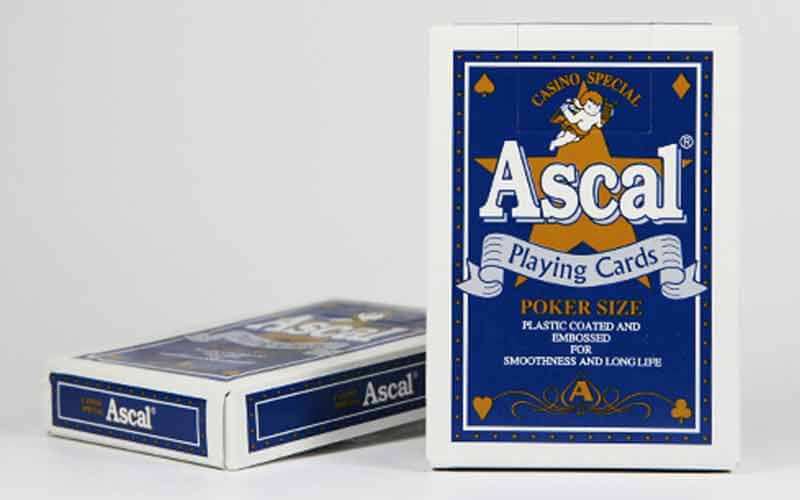 Magicians, Cardists, Gamblers & Collectors Appreciate Ascals. A clear favorite among Asian gaming circles, Angel Playing Card Company prints the majority of cards for Pacific Rim casinos and Cruise Lines (found in Macao, Korea, Australia, Philippines, New Zealand, Malaysia & many other places). 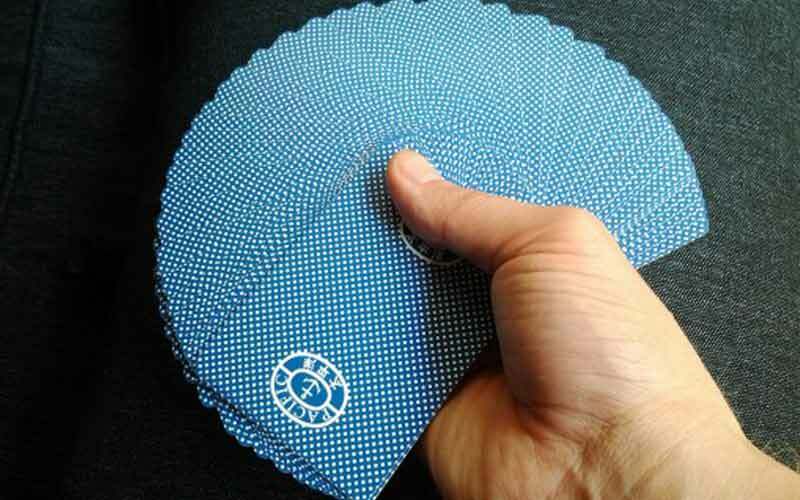 These cards do not have any holes punched through them, any corners cut, or any black marks muddying up the edges of the deck like the majority of casino decks for purchase - these are uncanceled. This adds dearly to their value. These cards are poker sized, plastic coated & come with a fine silky embossed paper for smoothness and longevity. These Ascal decks do not come cellophaned, nor do they come with any jokers. These are 100% original. NOT facsimiles. First come - first serve. ANGEL was established in Japan more than fifty years ago and has been involved in domestic and international sales of playing cards, puzzles, and other game cards. They manufacture all their items at their own factories in Osaka, Japan. Are These Playing Cards For You? 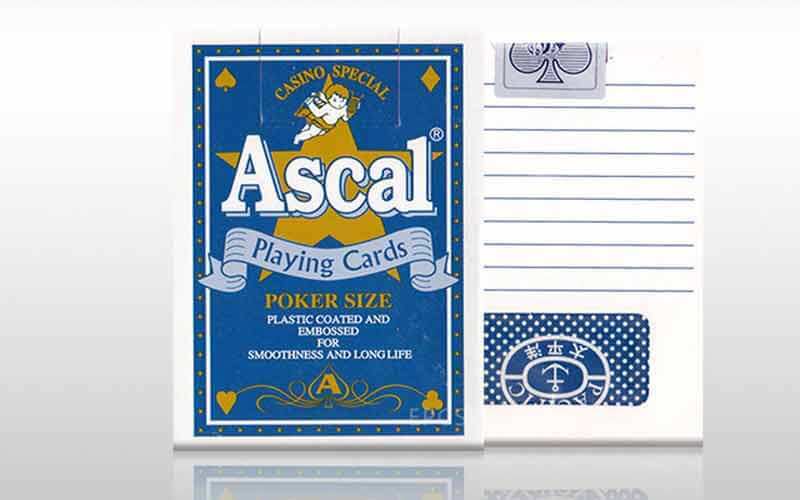 Angel Ascal Playing Cards aren't for everyone. They are borderless, plus they feel slick & slippery. Because they are Japanese stock, they also have a slightly different texture from an American made playing card.  If this sounds like something that interests you, then Ascal Angels are right for you. Purchase some Ascals today or still have questions? Just Ask. We usually ship your order most anywhere in the world within 24 hours. You get your goods quickly! We pride ourselves on offering the best service. Rest safe knowing that your order is packaged properly, with lots of love and care. We work hard to minimize any damage resulting from shipping. We believe wholeheartedly in our product and we want you to love your purchase as much as we do. Therefore, we guarantee it, or your money back!